What is a real job? Writes Political Reporter Malcolm Farr Daily Tele Article 11 Nov 2002. "It would start if candidates had a CV of real jobs, such as medicine (Senator Brown), or even zoo keeping (NSW Upper House Green Lee Rhiannon ). Which leaves the type of candidate summed up by Kerry Nettle, who was elected a NSW senator at the poll a year ago. Senator Nettle will celebrate her 29th birthday on Christmas Eve. She will be a senator, barring illness etc, until at least June 30, 2008. This means it is quite likely that Senator Nettle will reach the age of 35 without having once worked for a private enterprise, or even in a mainstream public service organisation." Lets just stop it there Mr. Farr and let me say that first, what is a real job? Perhaps a journalist? Perhaps a schoolteacher? Even though school teaches end up on park benches. May I suggest to you that persistence and determination are omnipotent to coin a well-known phrase? Perhaps the person who decides who has a real job needs a real job? Most people I know in the public service are out of touch with the general community (little or no heart and sole because their boss said so). Farr goes on to say " From 1996 she was environment officer to the student guild of the UNSW (where she earned her degree in environmental science). 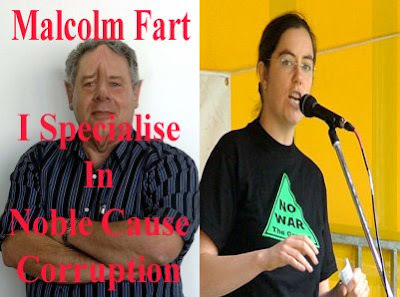 From 1997-98 she was coordinator of the Public Transport Conference; 1998-99 she was office coordinator for the Greens Party (NSW); a youth worker 1999-2000; and from 2000-01 campaign coordinator for Stop the Woman's Jail." "This is a record of employment avoidance writes Farr"
What a loser Farr is when he cannot see a person who nurtures nature and cares for the community in more ways than you think to describe. We need people with from all walks of life. Those that are dedicated and have a passion. Those who have self esteem and self worth and those who relate to the whole community. Malcolm Farr needs to go fishing for his own Barramundi! Yeah! Senator Kerry Nettle has taken her gamble in life and put her left foot forward. SKIPPY: All you have to do Farr is smile.